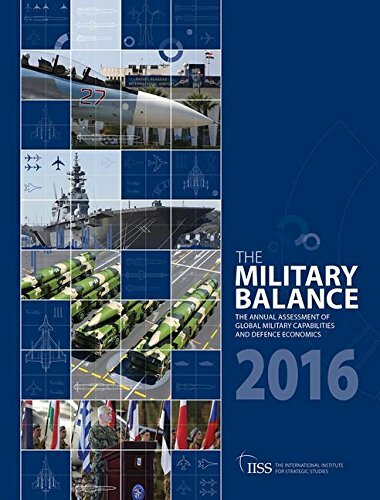 The Military Balance is an authoritative assessment of the military capabilities and defence economics of 171 countries. Detailed A–Z entries list each country’s military organisation, personnel numbers, equipment inventories, and relevant economic and demographic data. Regional and select country analyses cover the major developments affecting defence policy and procurement, and defence economics. The opening graphics section displays notable defence statistics, while additional data sets detail selected arms orders and military exercises, as well as comparative defence expenditure and personnel numbers. The Military Balance is an indispensable handbook for anyone conducting serious analysis of security policy and military affairs. The International Institute for Strategic Studies, founded in 1958, is an independent centre for research, analysis and debate on the problems of conflict, however caused, that have, or potentially have, an important military dimension.